Travelling in Thailand often requires the use of cash – rather than credit – when paying for services or making purchases. Consequently, it is key to have facts about Thailand money. The first thing that one needs to know is that Thai currency is referred to as the Baht, and is abbreviated internationally as THB. The notes are available in different denominations as follows: 20, 50, 100, 500 and 1000 and there are also coins in circulation: .5, 1, 2, 5 and 10. 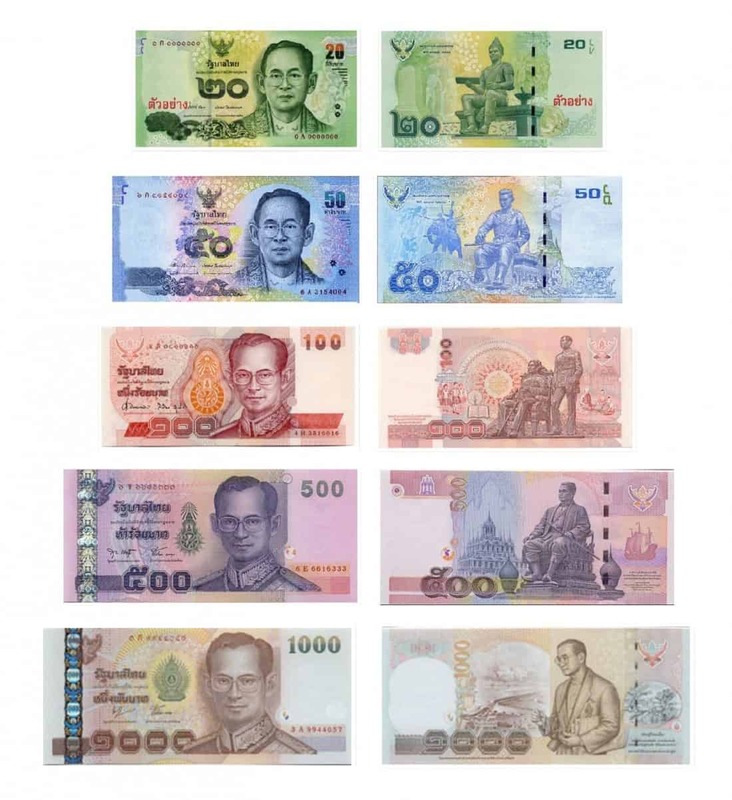 While these coins are available, travellers must be aware that in many instances, the cost of goods and services is rounded up to the nearest Baht. The use of coins sometimes causes confusion for visitors since new coins in circulation are markedly different from the old coins. Generally, one Australian Dollar will get you between 25-30 THB, one US Dollar will get you around 35-40 THB and one British Sterling Pound 45-50 THB. It is rather interesting to note that many businesses that target foreign tourists often operate with American Dollars, a fact that can be attributed to the fluctuation of exchange rates and inflation. Thailand caters for travellers from all walks of life, making it an exciting destination altogether. So, whether you are backpacking across Thailand’s spectacular landscape, or prefer a luxurious pampering session at the pristine sandy beaches, there is something for everyone. The average meal at a fairly decent hotel will cost 100 Baht, while a 3-course meal at an upmarket restaurant will cost you anywhere between 400 and 800 Baht. Do you prefer fast food on the go? A combo meal at McDonalds will set you back 150 Baht, and a cold beer anywhere between 60 and 90 Baht. A short trip in a tuk tuk (mini cab), costs 50-10 Baht (and goes up upwards based on distance travelled) so make sure you tell the driver your destination and agree on a price before you get in. ATMS are widely available within the cities of Bangkok, Chiang Mai and Phuket but cash is the main currency used. You can certainly use your credit or ATM card at supermarkets, petrol stations and larger shopping malls, however most of the local trade deal in cash. Therefore it is wise to always carry enough cash on you, particularly if you are going into the more remote areas in Thailand.